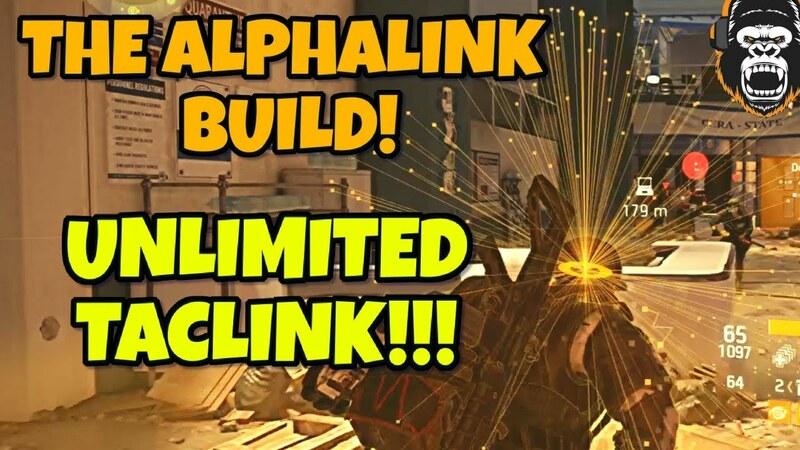 ALPHA-LINK PVE BUILD: UNLIMITED TAC LINK - Originally Created by RoarTalentz. This is our take on this build and has been tweaked with our spin on it. A fun to use build for PVE ONLY, Resistance, HVT's and Legendaries. Can be played Solo but requires skill and focus. (Group with a Healer) is better. The whole build is centered around the "Commanding" weapon talent as killing enemies gives you 20% more time on you tac-link and the more you kill the quicker the tac-link will come back ready for use again. We have decided to use Stamina with health mods for more survivability but you could use enemy armor damage mods, the choice is yours of course. Feel free to test this build out and tweak if you need too. Have fun and Unleash the MELT!!!.. P.S. Ignore the sidearm, its not used on the build.